J.C. Booth Middle School in Peachtree City, off South Peachtree Parkway. Photo/Ben Nelms. 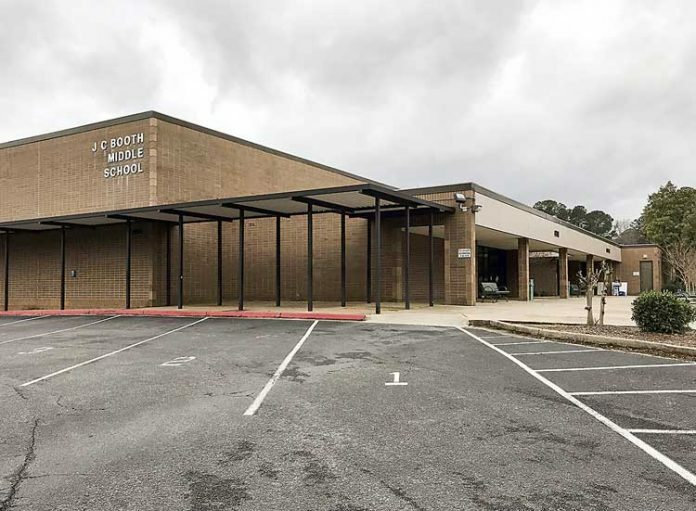 Members of the Fayette County Board of Education will begin considering what to do about Booth Middle School in Peachtree City. Booth is scheduled for a review and is the only one of the county’s five middle schools currently over capacity. Superintendent Jody Barrow at the school board’s Jan. 7 work session said the school system has a 5-year facilities plan, with Booth Middle being the next school to be considered on that plan. Pertaining to the options proposed by staff and viewed by the school board, is was repeatedly stressed by Barrow that all the options were general in nature, with much work needed in the days ahead to arrive at a final decision. One of the proposals would include an extensive renovation to the existing building including the gym, kitchen and office and a classroom addition to bring capacity to 1,400 students, rather than the current 1,163 capacity. The estimated cost of that option is $28 million. Another option would also include an extensive renovation of the existing building with a kitchen addition along with gym and office work and and more classroom space to accommodate 1,400 students. In this option, the football field would be relocated to the south of the existing building. The cost of this option was estimated at $30 million. A third option would construct a new middle school to handle 1,400 students on 37 acres of school system property on Stagecoach Road, and adjacent to Peachtree City United Methodist Church off Robinson Road. It is of note that the Booth school building and property are currently valued at $12 million. Pertaining to the potential for repurposing Booth as an elementary school if a new middle school is built, Facilities Director Mike Satterfield that transformation could be done for $7-8 million. Board members by consensus agreed to eliminate two other potential options. Those included a basic renovation which is essentially cosmetic for $15 million, or to construct a new school on the existing site for an approximate cost of $50 million. Bottom line, Barrow said the school board will need to decide if the current school site should be used or if a new school should be built. He asked board members to begin considering the various proposals and provide feedback. The school system also plans to ask for community input on the possible options. Barrow at the meeting noted that minds are not made up, adding that there are a number of what-if scenarios. 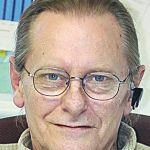 One of the what-ifs deals with the former Tyrone Elementary School in Tyrone, which could potentially be used if sewer were available, Satterfield said. A part of the future for Peachtree City and Fayetteville is what the years ahead will bring in terms of population growth, said Satterfield. Looking to the future, Barrow said the school system will need additional elementary space in the Peachtree City area. Though not noted, the 10-year enrollment projection has all but one of the county’s elementary schools at 87-116 percent capacity. The exception is Cleveland Elementary on Fayetteville’s west side, which is expected to be at 65.5 percent capacity, with 246 open desks, in 2028. Board member Leonard Presberg during the discussion suggested that a less expensive route might be to shift a portion of the Booth population to middle schools that have more space available. Looking 10 years out, Booth is projected to be at 111 percent capacity while Bennett’s Mill will sit at 86.75 percent capacity, Rising Starr at 87.5 percent capacity and Flat Rock at 90.1 percent capacity. In addition to the currently vacant Tyrone Elementary School, there are two schools in Fayetteville being used for purposes that do not require the full use of the schools. One of those is a former middle school on Grady Avenue, the other a former elementary school on Hood Avenue.